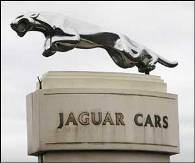 Tata group-owned Jaguar Land Rover (JLR) has secured a 170 million pounds (about $ 284 million) loan from GE Capital in a move to strengthen its financial position, a media report says. The deal is expected to be announced on Monday. "Jaguar Land Rover will announce today that it has secured a new 170 million pounds working capital facility from GE Capital" the Financial Times reported. The daily further said that: "The five-year loan is an important step for the loss-making car company owned by India's Tata Motors, as it seeks to shore up a financial position weakened by the credit crisis and falling sales of its luxury vehicles." JLR would avail the said loan from GE Capital - the financing arm of US-based General Electric as soon as it rolls off its three UK production lines. "It will boost working capital within the company by shortening the 30-40 day gap it typically has to wait between producing hundreds of thousands of cars a year and delivering them to dealerships in 90 countries," it added. Citing GE Capital chief executive officer (distribution finance business) Rich Green, Financial Times said "having identified a large group of assets that had been underutilized we looked at how working capital can be freed up from them and we found a solution."